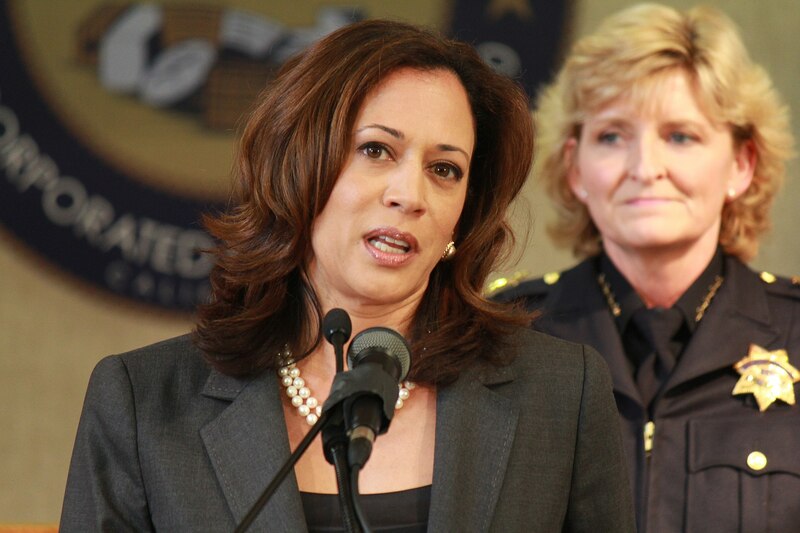 California Senator and former attorney general Kamala Harris is running for President. Kamala Harris announced Monday that she is running for president in 2020, arguing that the time has come to fight against what she views as the injustices of the past two years of the Trump presidency. In a brief video from her campaign that was released on social media Monday morning at the same time she appeared on ABC's "Good Morning America," Harris called on her supporters to join with her to "claim our future." Harris offers a progressive platform, but she is also a dyed-in-the-wool authoritarian who fought relentlessly to shield bad cops, prosecutorial misconduct and reactionary policies while in office — and who found it hard to explain why its decisions sometimes shielded well-connected men suspected of serious corporate crimes. It's rare you find someone whose professional hostility to constitutional rights is so throroughly described in public record that her launch literature centers entirely on recasting her career.